And I have two copies to give away! This was just a really fun film! They stayed true to the original storyline, which I appreciated. Seven gunmen/fighters come together to defend a town against an evil mining lord. The leads all do a tremendous job in their roles. Denzel Washington is perfect as the leader, Chisolm. Chris Pratt has a ton of fun with his character, as does Vincent D’Onofrio, and Ethan Hawke rounds it out as Goodnight. The scenery is stunning and the setting really feels like the Wild West. 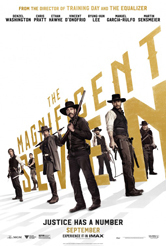 The movie moves at the perfect pace, building up to the showdown at the end while giving the audience time to get to know and care about the characters. And when that showdown comes, prepare for gunfire! Along with explosions, arrows, and some mean knife throwing. This is just a fun, solid Western that fills all the squares. Very entertaining. Great buzz sometimes doesn’t add up to a great film. This is a fairly interesting and yet depressing drama about Puritan life in the seventeenth century. The youngest son of a family living in the wilderness goes missing and the threat of witchcraft begins to tear them apart. The cinematography was beautiful and the acting very solid. The director went for authentic with the dialogue, which unfortunately makes it really difficult at times to understand the actors. Marginally recommended if you’re looking for something different. Evergrey continues to come out with great, accessible prog music. Released a couple weeks ago, their latest, The Storm Within, is solid from start to finish. Available at Amazon on September 27. Here are the upcoming theatrical releases for October! As always, descriptions courtesy of the IMDB. Snark provided by me. Stick around for the post-credit tax audit sequence. Maybe Cruise can reach for a better film this time. More of Dan Brown trying to convince the world he’s much smarter than everyone. Heard any of my audio books yes? Enjoyed any good audio books lately? Seen either of the movies? And what movie is on your radar for October? My wife and I are taking off Thursday for a couple days. Will check in when I can. 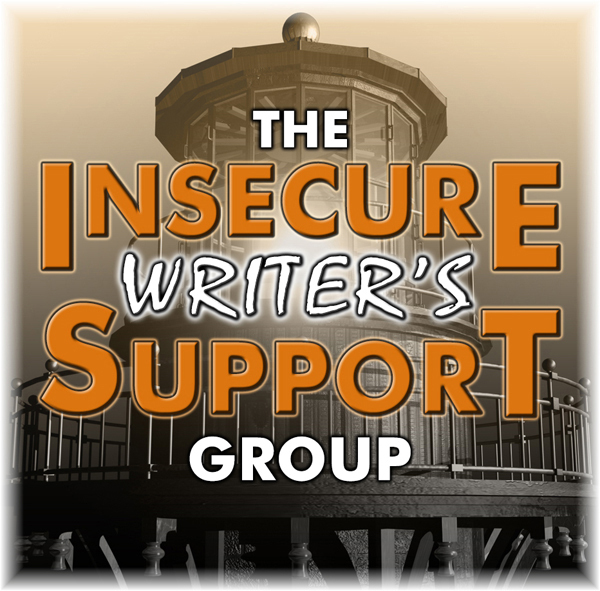 I won’t be posting on Monday but I’ll be back for Insecure Writer’s Support Group post day next Wednesday. Don't forget the October 4 Question: When do you know your story is ready? 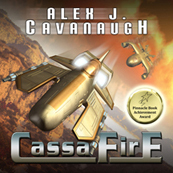 Mason Canyon at Thoughts in Progress posted the most awesome review of my audio books – CassaStar and CassaFire! Today I welcome Sean McLachlan. 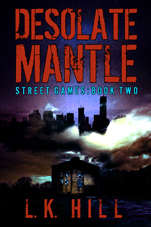 His book participated in the Kindle Scout campaign and was selected for publication by Kindle Press! The Last Hotel Room comes out on Tuesday, September 20. Alex asked me to stop by and chat about my career in the Middle East. I’ve been going to that region for 26 years, first as an archaeologist and later as a writer. One of my regular haunts is Tangier, Morocco. That’s the scene for my latest novel, The Last Hotel Room, in which a suicidal, bankrupt American robs junkies in order to support a Syrian refugee boy. No, I’m not writing what I know. Well, maybe a bit. While I’m not bankrupt, or suicidal (despite my editor’s worries), I have actually spent a fair amount of time interviewing Syrian refugees. One article, Video Games with a Refugee, written on assignment in Iraq, won the Society of American Travel Writers Award and inspired the novel. My main concern was getting the setting right, communicating the atmosphere of Tangier, a busy port with a mix of Arabs, Berbers, West Africans, and Europeans. People have visions of the Middle East as a danger zone filled with terrorists, and since my “hero” Tom Miller lives with the lowlifes I had to make sure to show the more respectable majority too. I found myself using my travel writing background a lot while writing this novel. When Tom watches the passersby in the medina or stands with hopeful immigrants staring across the Strait of Gibraltar towards Spain, that’s me looking. Even the scene where Tom gets rid of a pesky junky with the unwilling help of a machinegun-toting cop is taken from life, although perhaps it would have been better if it hadn’t been! Some other scenes, like the heroin scenes, are made up. That’s just fine by me. And at least my house in Tangier doesn’t have a squat toilet like Tom’s hotel room! 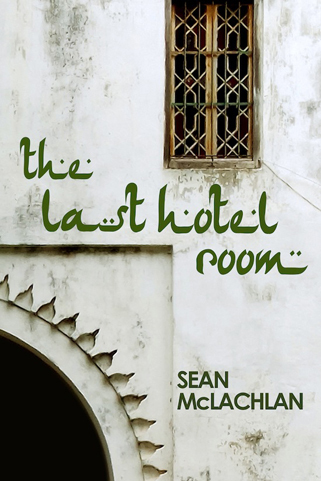 The Last Hotel Room – available September 20! Tom Miller has lost his job, his wife, and his dreams. Broke and alone, he ends up in a flophouse in Morocco, ready to end it all. But soon he finds himself tangled in a web of danger and duty as he’s pulled into scamming tourists for a crooked cop while trying to help a Syrian refugee boy survive life on the streets. Can a lifelong loser do something good for a change? To find out more about Sean McLachlan’s work and travels, visit him at his Amazon page or his blog, and feel free to friend him on Goodreads, Twitter, and Facebook. You might also enjoy his newsletter, Sean’s Travels and Tales, which comes out every one or two months. Each issue features a short story, a travel article, a coupon for a free or discounted book, and updates on future projects. This Norwegian film proves that formula disaster films are universal. However, it’s very well done, so if you like formula disaster films that aren’t cheesy, you’ll really enjoy this entry in the genre. From the IMDB: Based on the fact that mountain pass Åkneset, located in the Geiranger fjord in Norway, one day will fall out and create a violent tsunami of over 80 meters that will crush everything in its path before it hits land in Greenland. A geologist and his family are about to leave a small Norway town for a job in the big city when the geologist realizes what’s about to happen. The film has solid acting from all involved. They bring realism to the film. 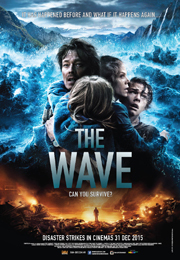 The story focuses more on the lead up to the disaster and the aftermath than the actual disaster, but the giant wave and the destruction it leaves behind are impressive and haunting. It does have subtitles but that is always better than dubbing! Norway puts out some fine films and this one is no exception. If you like natural disaster films in the style of Dante’s Peak, you’ll enjoy this one. Recommended. The next RiffTrax: Live show is Carnival of Souls on October 27! Perfect crappy film to riff for Halloween. If you live in the Nashville area, you can go see it live – if not, check their site for a theater broadcasting it near you. The best part of Suicide Squad was the over-the-top, batcrap crazy Harley Quinn. And soon, she’ll have her own movie. Margot Robbie will reprise her role as Quinn, who will be one of many DC heroines and villains in the film. The film is currently in the works. A special version of Mad Max: Fury Road is being released – the Blood and Chrome Edition. This version is in black and white and will be available in two different DVD sets on December 6. See Blastr for details. 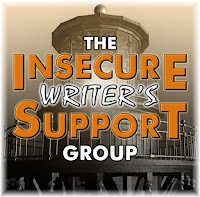 Don’t forget the IWSG Anthology Contest is now open – fantasy/hero lost is the genre/theme. See the site for full details. 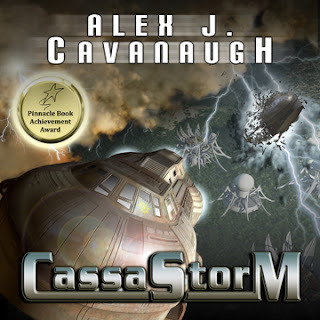 Pat stars in his own story – and he’s destined to save Earth’s brain. Ever been to Morocco? Want to help Syrian refugees? Seen The Wave? Going to the next RiffTrax: Live show? Picking up some DVDs? And are you working on your IWSG Anthology Contest story? On September 8, 1966, the first Star Trek show debuted. And life has never been the same. Wikipedia had an entire page dedicated to the influence of Star Trek, stating Star Trek is one of the most culturally-influential television shows, and is often regarded as the most influential science fiction TV series in history. Many astronauts claim Trek influenced their career decision and George Lucas has stated that Trek was a big factor in the creation of Star Wars. While I was a tad too young to watch the original series during its run, I spent many hours watching the reruns in syndication. The show broke through so many barriers, showing us a bigger and better world. I was captivated by the possibility of what existed beyond our solar system. It was the beginning of my love for science fiction, which would eventually lead to me writing in that genre. 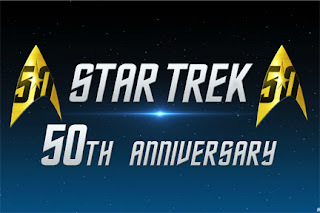 There are a ton of events happening this month and hundreds of articles online celebrating fifty years of Star Trek. The LA Times has a ton of articles and you can find more news at Blastr. Picking one favorite Trek would be impossible. I’m digging the reboot movies even as I still love the movies First Contact and Wrath of Khan. The closest I can come to a favorite is the series Deep Space Nine. There have been a few missteps (Star Trek V, the search for God?) but otherwise I’ve enjoyed them all. What is your favorite Star Trek? And does anyone else own a bat'leth? Great for home defense! That’s right! Kate is back for another Underworld movie. Thanks to everyone for another awesome IWSG post day. I try to get to as many as possible, but I hope everyone understands I can’t visit everyone. (That’s why we have co-hosts.) I’m making an effort to visit those I haven’t seen in a while though. Plus the newbies. I appreciate every single person who posts. If you’ve missed posts in the past, make sure you’re still on the list. I visited several who were posting but they’d missed two in a row at some point and were no longer on the list. And special thanks to all of the volunteers. Co-hosts are booked through next January now! 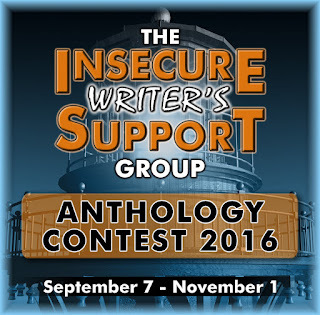 Don’t forget the IWSG Anthology Contest is now open! 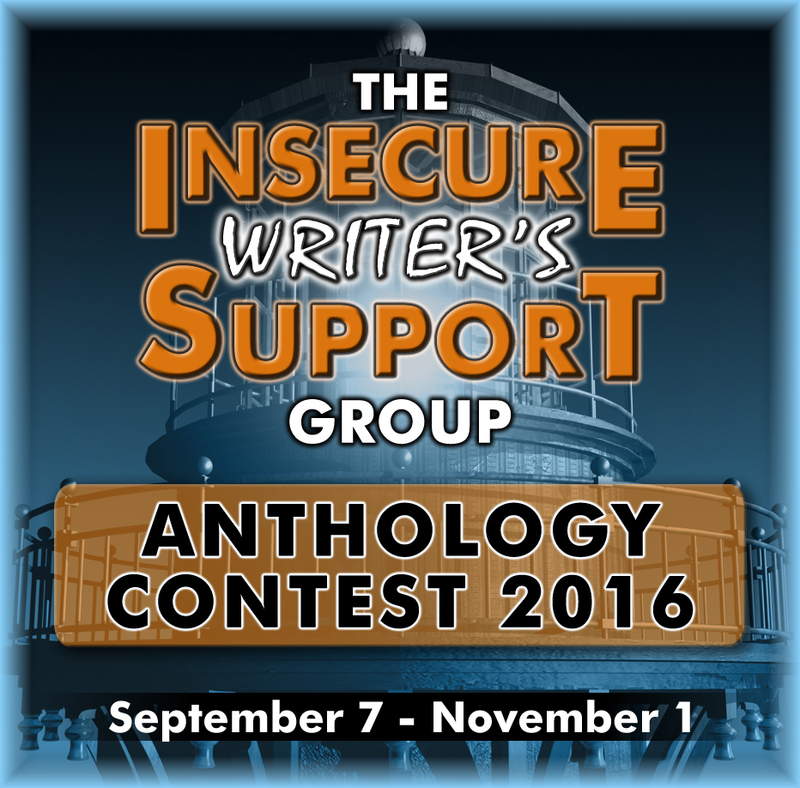 We have some great judges, an awesome theme, and we’re looking forward to reading the entries. You have until November 1, so get cracking. Baby Moo has a dream. 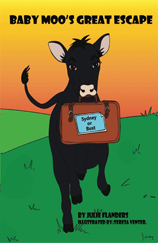 He wants to travel the world and sing on the stage of the Sydney Opera House! Are you a Star Trek fan? What’s your favorite show/movie? Ready for more Underworld? (I really need to get that outfit for my wife.) 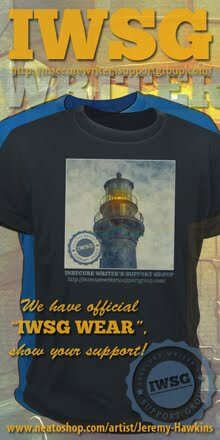 Enjoy the IWSG last week? Picking up some new books? Are your books on audio? Last Friday I was a guest at Rebecca Bradley’s site for her First Draft series of interviews. I’ll also be gone all day Friday for training, so I’ll catch Friday posters this weekend.